cos Josh's fruit and veg chart is working a treat! I think he ate more broccoli happily tonight than he has eaten in his life. He stands there and looks at the chart and then comes and asks for fruit - yes you heard right - ASKS! Oh the lure of the promised wheel-a-round tool chest from Bunnings when he fills his chart. It's worth every cent in my book. If anyone wants a copy of my chart just email me. It's all done up pretty in Publisher with pictures of the vegies and all, lol. Also been catching up on some scanning of layouts from a few weeks ago. Always feel very virtuous when that happens. I even stitched the double page together twice - once in Photostitch then in Photoshop, getting serious now! This first one cracks me up. It's Samuel on Christmas night when he was just soooo exhausted he needed both dummies in at once. 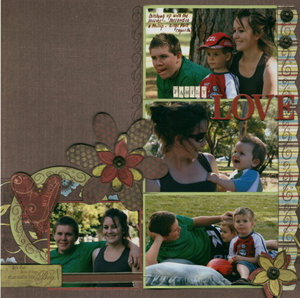 Then here's the yummy Magnolia papers from Scraptacular on a layout from our holiday in Perth last April. My sister Kate's partner John has a motorbike which Josh was VERY impressed with. 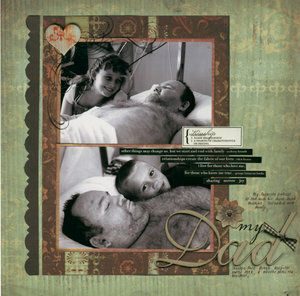 Then these ones are all for the album I am doing about my brother. It is really helpful to be doing these layouts, but hard at the same time if that makes sense. I'm gradually allowing myself to face some of the sadness and pain. I guess your mind lets you know when you are ready to take another little step. 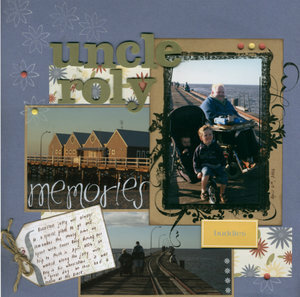 This one includes my blog entry from the day we had our goodbye party with the boys at Lilydale Lake. These are Chatterbox papers but are quite old now (still my fave line from chatterbox though). Here is the man himself at 3 and a bit just after he had an eye operation. I must get more details from Mum about what that was for. Doesn't he look just a little bit cheeky, lol. I think these papers are Paper Loft, I just grabbed them off the shelf at Scraptacular because I loved the colours. I promise this is straight in real life - oh how my scanner hates chipboard! These would have to be my favourite pictures of Ian (Roly is his nickname) with his children Cassandra (now turning 18 this year) and Phillip (turning 16 this year). You can just feel the love in these photos. Yummy Cosmo Cricket 'Wanted' papers. Another memory from our holiday in Perth. These are also old Chatterbox papers and I have Di to thanks for them, cos I recently turned up to scrap at her house and had forgotten all my pp (that's my story anyway, lol). Night all, have a happy tomorrow. Can't believe I forgot to mention that Brooke and I have an article in this months For Keeps on using scrapbooking as therapy. 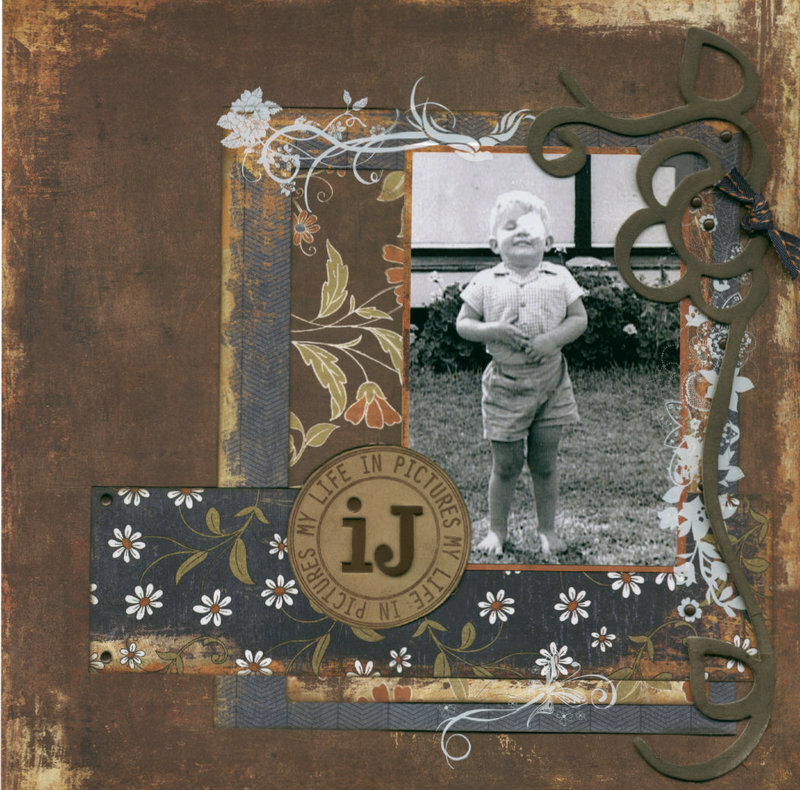 Those who know me well will know this is a cause very dear to my heart and pretty much what inspires my passion for scrapbooking. I believe in writing about the hard stuff as well as the good stuff, and I especially believe in writing about ourselves. At first I felt a little vulnerable having my thoughts on some personal issues down on paper for the world to see, but I have had so many positive comments which has been lovely. 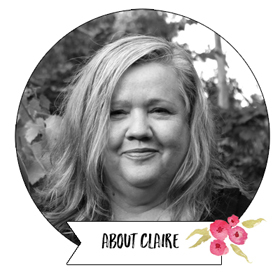 I only had a peek of Kerrie's last week - I am waiting for my copy to arrive so will post them when I do as I haven't actually scanned the layouts yet! Did a page tonight with my SU team. 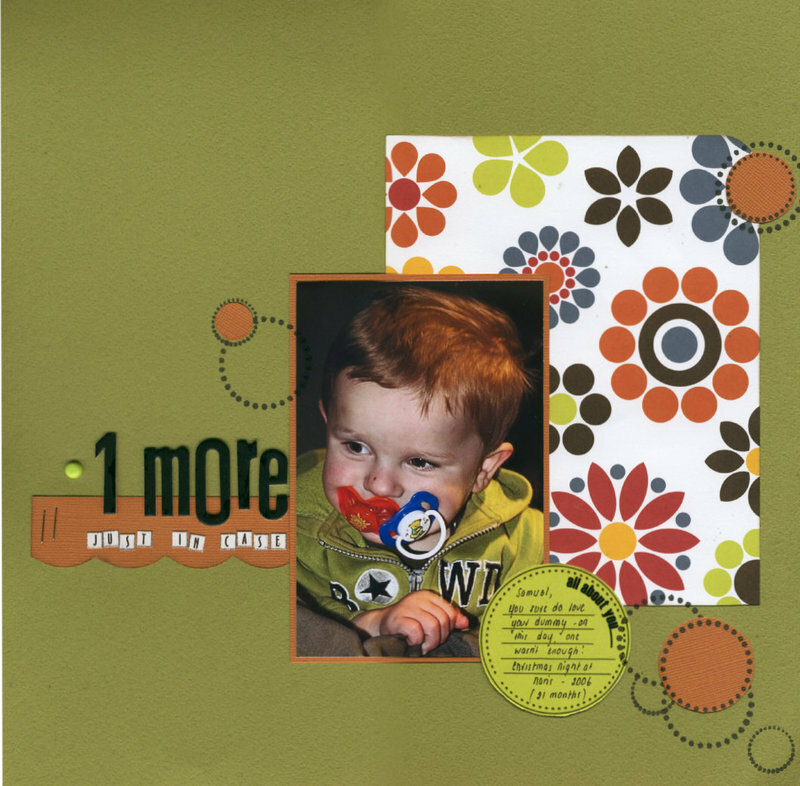 Used one of the sell-a-bration free stamp sets (Delight in Life) with choc chip ink, celery cardstock and some SU ribbon. One thing I am noticing about this SU is that it's easy for the stamps to look coordinated because they all were made to match within the set. Ditto with the colours. 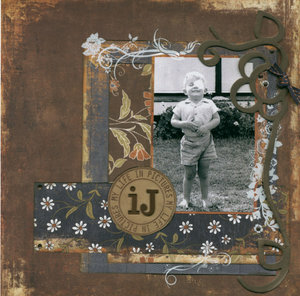 I am also loving the flower stamps. I use lots of flowers and now all I need to do is stamp a flower on a paper from whatever range I am using and it instantly matches. No more searching for matching primas! This layout is my brothers two children Cassandra and Phillip with my boys in April this year, just a fe months before their Dad, and my dear brother died. I hope they realize how much we all love them and will be here for them whenever they need us. The quote bottom left is one from the stamp set and says "It's the little things that make life big". Back to real life this week. Has been lovely having Paul on holidays, he does so much and lets me sleep in and take nanna naps, so it actually feels like my holiday not his :) Kinder also starts this week and they are both taking swimming lessons again, so it's full steam ahead. I am attempting to be a 'stepford wife' this year (ROLF) and be slightly more organised. I have even started myself a weekly planner and have the meals planned for the week. Now to actually cook them :) I have also started a 'try new fruit and vegie' start chart for Josh with rewards. I am feeling very positive about this since I only showed him this morning and have already had requests to purchase pears, pumpkin, broccoli and corn in this weeks shopping, plus a try of banana (you'd think he was eating dog poo the look on his face). Somewhere past 10pm everyone left and we all collapsed into bed exhausted. I picked a bad day to start seeing clients again, but once I was up the next morning and on my way I of course enjoyed catching up with my clients again. I have spent much of the last week playing with my new stamps and learning some of the techniques for workshops etc. I will always be a scrapper but I am enjoying this new challenge and learning new things and making new friends. 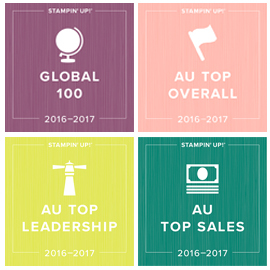 Love love love how flexible and professional the Stampin' Up! company is. So easy with kids. I have had a play and made a few cards, and tonight I intend to do some scrapbooking as our SU team is having a cybercrop. Heres a couple of cards I like. 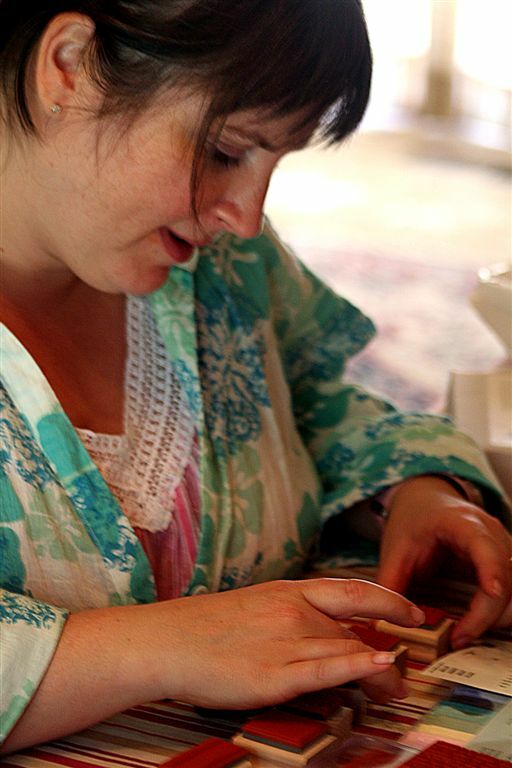 As you can see I am experimenting with colour - I am loving my new Colour Coach! This one is choc chip, taken with teal, ruby red and white cardstock. 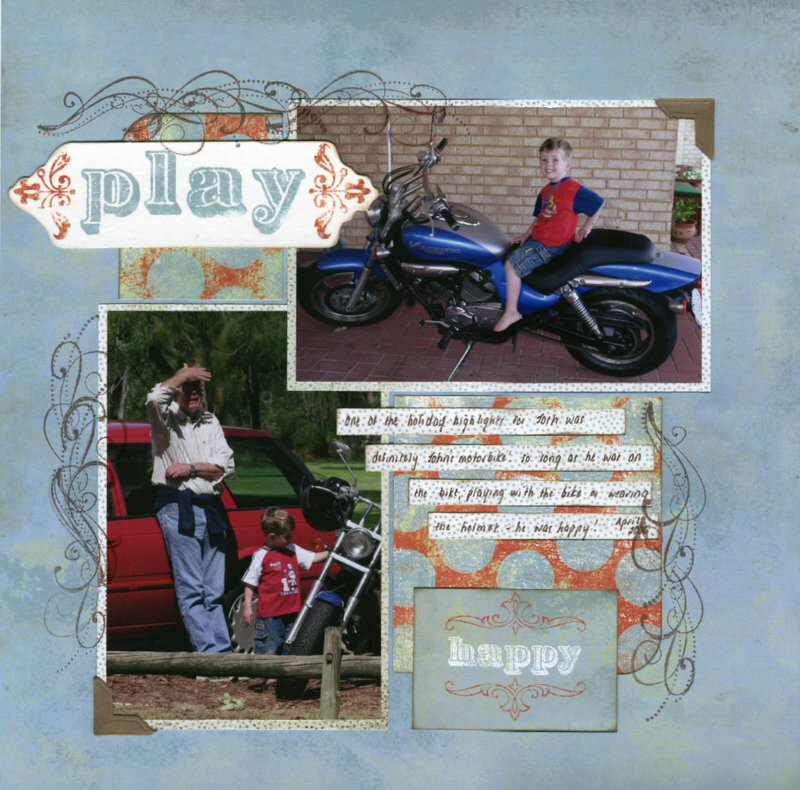 I have used the On The Spot background stamp from the mini and coloured the stamp with the rich regal stamping write markers in the same colours as the cardstock. Then I used the sweet spot stamps (better get in quick if you want these or the background stamp as the mini ends Jan 31st - still plenty of time to order though!) to pop a few little bits on there using the stamp-a-ma-jig to get things 'just right'. 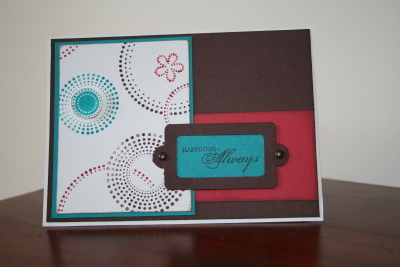 Finished it off with one of the choc chip die cuts and one of the stamps from the Happy Harmony sell-a-bration set. I love these free sets which are so easy to earn for everyone. I now have 3 out of 4 - yumm. They are available through to Feb 26, free with any purchase of $100 (and multiples thereof - get 2, 3 or 4 sets if you are feeling rich!). I am please how this card turned out! 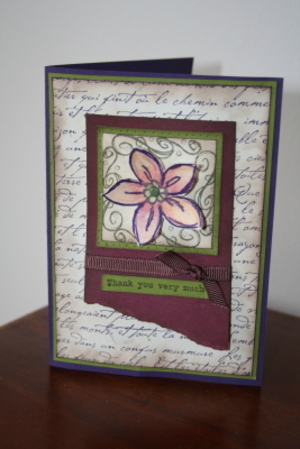 This one is elegant eggplant, old olive, very vanilla and bravo burgundy cardstock. I have used the French Script background stamp, with the flowers and swirls from the free sell-a-bration Delight In Life set. I have finished it off with some choc chip cross grain ribbon, an old olive brad and one of the Much Appreciated sentiments. Fun hey. even though it's still HOT! Just haven't got around to blogging. Paul's on holidays this week and next, so I have had the luxury of lots of me time, sharing the daytime care of the boys and some sleep ins. I feel like my batteries have had a good recharge already. Spent last Saturday with the girls at Scraptacular. It was such a great day, one of the best. I am so lucky to have a bunch of chicks like this in my life. Then Sunday at a friends with Josh doing some more scrapping and lots of chatting, while the kids played. Isn't it cute when your little ones make friends with other children. Speaking of which, Sarah and Kim took some great photos at a picnic in the park. Sam and Harry (Sarah's little boy) 'made friends' and it was so cute to see them holding hands and giving each other a hug. Def scrapping those. Also the pics of Sam with the gorgeous Shazza, watch this space! Kim entered one of her photos in the Herald Sun comp and WON!! Woohoo. It was a great picture. See it here. Had my first Stampin' Up! workshop tonight (thanks Didi). So much fun. As I anticipated everyone loved the products as much as me :) I will be working on some more samples over the next few weeks, so you can see what my excitement is about. The free 'Sell-a-bration' stamp sets are so yummy. I was expecting them to be little, but they are proper big yummy sets of 6. Get in fast before the end of Feb for the chance to get a free set. LOVE LOVE LOVING that 'stamp ma jig' thingy. No more crooked stamps for me - it's amazing!! OK what else - am doing well with the healthy lifestyle thing. Pretty easy really when you set your mind to it. Just not making a big fuss or obsessing about it which works for me. Might go and see 'The Pursuit of Happiness' on the weekend with Paul. It's so cool to have a reliable babysitter and be able to go out more. Also loving the tennis. The drama, the excitement, just everything. Off to the Friday Scrapathon at Scraptacular on Friday. 14 hours of scrapping and laughing. Yeah. Boys are great. They are loving having Paul home and have been going to the pool and splashing around. Sam always bites off more than he can chew though so you have to watch him like a hawk. He is starting swimming lessons this month as well. OMG, what happened to my baby boy? even with air conditioning in one room. Anyone want to borrow two grumpy, tired, overhot boys for the afternoon?